I have lived close to Ordsall Hall for decades, but have only just recently discovered this hidden gem, which can be found tucked away in Salford, surrounded by housing estates. This stunning Tudor building is well worth a visit no matter what your age, but if you have kids, it's a definite must for families. 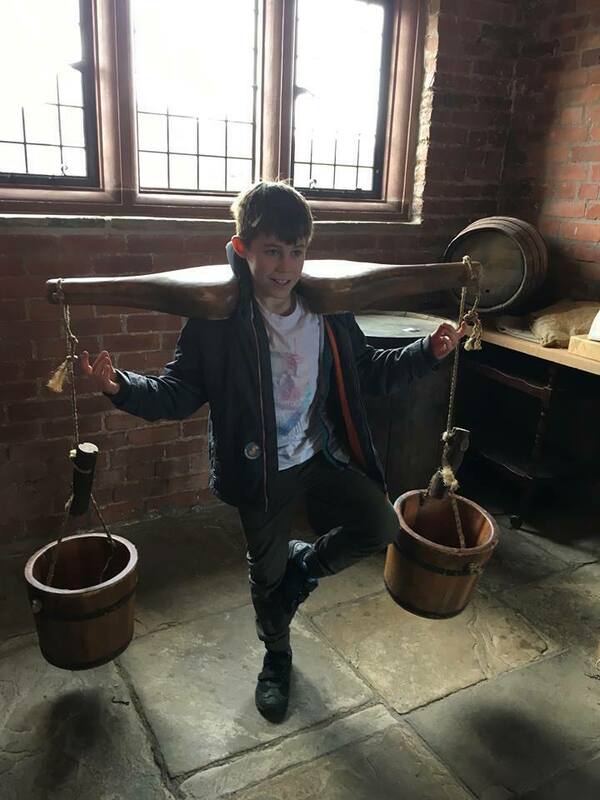 I brought my three down to Ordsall Hall one wet Sunday afternoon to check out what was on offer, and to give me and the kids a chance to get out of the house as we were all climbing the walls after several rainy weeks. Not knowing what to expect, I was pleasantly surprised by everything on offer at this beautiful building. Ordsall Hall is a Grade 1 listed Tudor manor house, dating back to around 1177 and has a rich history, having housed Medieval and Tudor nobility, butchers, farmers, priests and mill workers. Rumour has it, there's even a ghost who is said to walk the halls (more about that later). It has now been transformed into a family-friendly museum, where children can get hands on, trying on clothes, grinding herbs and spices and exploring the history of the building. 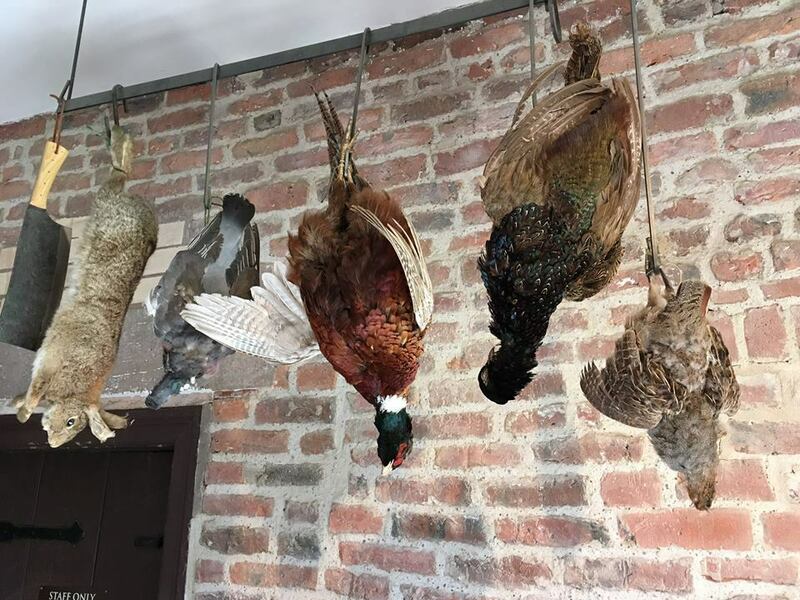 The most entertaining area for my three children was the kitchen area, which is beautifully set up with a hog roast, pheasants and plenty of herbs and spices to smell and play with. The kids were intrigued by the animals kept in a cage over the kitchen table which although not alive, were incredibly life-like. My son had a go at carrying the buckets for the water, which were incredibly heavy despite their lack of water. 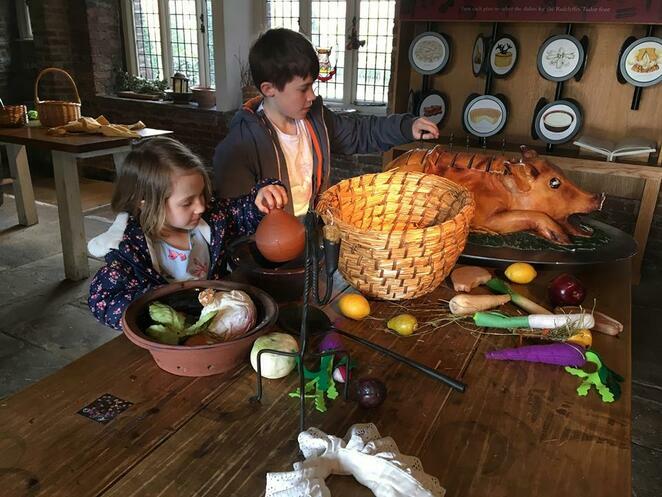 There were pieces of bite-sized information scattered throughout the kitchen, informing children all about the kinds of foods the Tudors would have enjoyed eating. My favourite area of Ordsall Hall was most definitely the Great Hall, which was truly stunning. Apparently, Ordsall Hall can be hired for events such as ghost evenings and conferences, and I wish I'd known it was there when I got married, as it would be such a special place for a wedding. If you walk through the Great Hall, you come to a room with an oak bed in it. Dating back to the early 1570s and intricately carved with animals, the Radclyffe Bed was totally wasted on the kids. 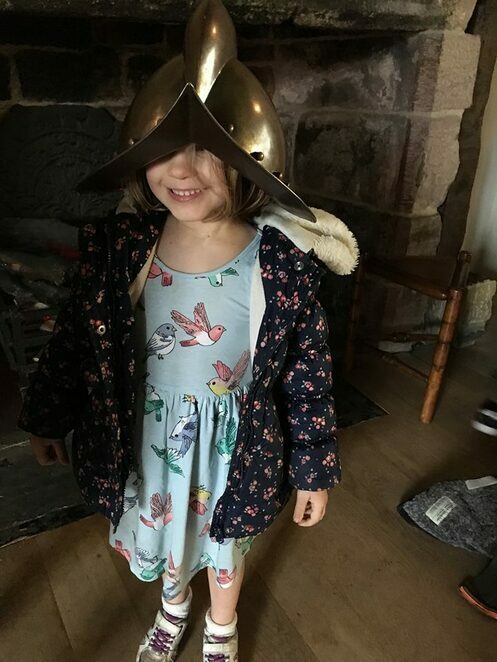 Instead, they had a great time trying on the armour, aided by one of the members of staff who was really helpful and lovely with the kids. When my eldest daughter was getting fed up waiting for the rest to finish dressing up, he directed us to the ladies room upstairs, where there was an entire wardrobe filled with ladies wear to try on. She was in seventh heaven. If you head up another flight of stairs from here, you will come to a small reading area, where there are lots of books the children can read to find out more about the Tudors. Heading back to the entrance of Ordsall Hall on the ground floor, there is a flight of stairs up to the first floor, where families can find out the changing face at Ordsall Hall. Children can take rubbings of people in period dress, piece together a stained glass window and admire The Irlam Logboat, a canoe made out of a single piece of oak, which dates back to somewhere between 1030 and 1245AD. For little ones, there's a boat they can sit in, complete with cushions and teddies. There's also a little window through to the Great Hall, where the kids could spy on those below. From this area, you can head through to the exhibitions and up into the roof space of Ordsall Hall. You really can believe that a ghost haunts Ordsall Hall from up there. If your kids enjoy a spooky tale this is the perfect time to tell them all about the White Lady, the ghost of Ordsall Hall. The White Lady is thought to be Lady Margaret Radclyffe, who was the Maid of Honour to Elizabeth I and part of the family who built Ordsall Hall. Lady Margaret's brother was killed whilst fighting in Ireland in 1599. She died shortly after, and it is said that she wanders through the rooms of Ordsall Hall waiting for the return of her much-loved brother. Shall we leave him here? 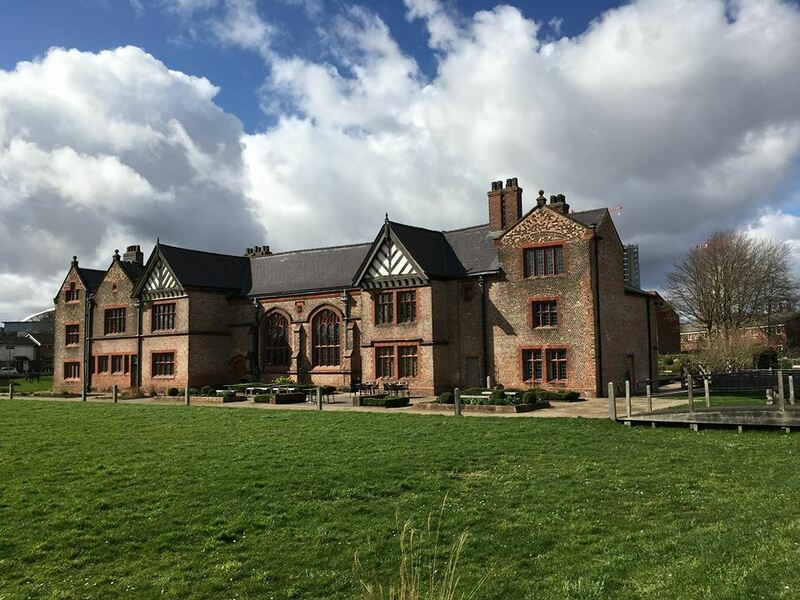 Ordsall Hall is a treasured place for families in Salford and Manchester. 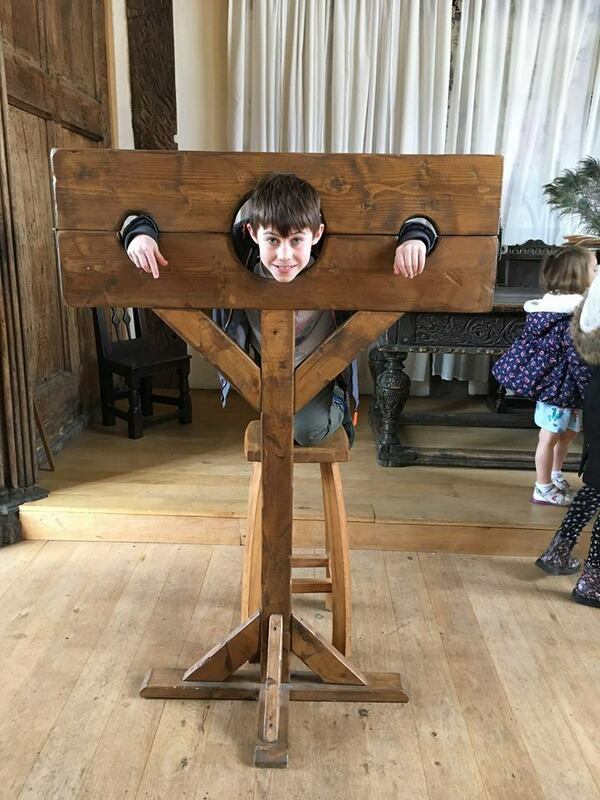 As well as offering the chance to delve deeper into the history surrounding the hall and Salford, there are lots of thoughtfully placed objects and activities to keep children engaged. From musical instruments and costumes to jigsaws and crafts, each room has something for the kids to explore. There is a small cafe selling lots of scrumptious treats and good coffee on the ground floor, and a shop too where the kids can pick up their souvenirs. A special mention must be made to the staff of Ordsall Hall, who made our incredibly noisy family feel very welcome indeed. He's making it look too easy. Time to add the water! Entrance to Ordsall Hall is completely free, but if you are planning on visiting, it's worth noting the opening times, which are a little irregular. It is closed to the public on Fridays and Saturdays as it is available for private hire at these times. Ordsall Hall is open Monday - Thursday 10am-4pm and Sundays from 1pm-4pm. It is usually closed on bank holidays too. Throughout the year, Ordsall Hall hosts lots of events, from Garden Parties and Open Air Theatre to trails and crafts. There are usually lots of activities going on during the school holidays too. To see what's going on in the upcoming months, see here.